We're seeing our fair share of questionable motorcycle laws here in Canada. Riders in Ontario for example have been in an uproar over recent stunting and speeding laws that seem overly punitive. Now Bill 117 aims to make it illegal to transport children under 14 on a motorcycle in Ontario. 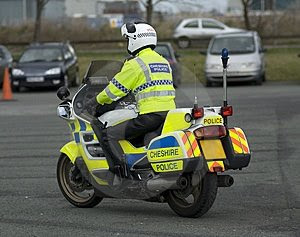 Well, if you think we've got it bad, Police chiefs in the UK are trying to ban motorcycle altogether or at the very least limit their use and tightly control them. They referred to motorcycles as ‘motorised toys’ which may not be ‘fit for purpose’ on public highways, the Association of Chief Police Officers told the Commons Transport Committee. The comments were published in a report by the APCO committee on road safety. I wonder if they'll also do this with cars too? There's plenty of sports cars that are very capable of easily breaking speed limits as well.